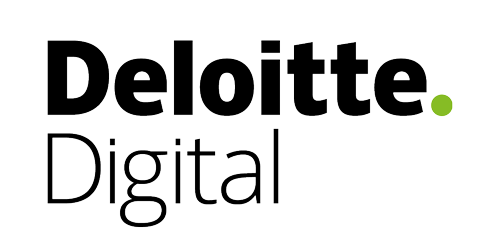 Deloitte Digital has created a new model for a new age: the creative digital consultancy. That means combining leading digital and creative capabilities with deep industry knowledge and versatile technology experience to help transform our clients' businesses. With Deloitte Digital's end-to-end industry offerings, we can help clients imagine, deliver and run the future of their business. And, since 2001, Deloitte Digital has teamed with Adobe to offer deep experience and insights needed to optimize marketing spend. With DigitalMIX™, we bring together an ecosystem of technology platforms including Adobe Experience Cloud, together with Deloitte Digital’s transformation approach to help clients reach their ambitions and bring them to market quickly. Clients can now transform the relationship with consumers, suppliers and others through digital capabilities and solutions across CRM, ERP, digital marketing, omni-channel and Tweet to cash. Let us show you how we can help you imagine bigger to bring your business ambitions to life. Learn more at www.deloittedigital.com/adobe. Netcentric transforms customer experiences for the world’s greatest brands. Our proven expertise in strategy, design, technology and operations allows us to unleash the full potential of the Adobe Experience Cloud. Our clients’ digital visions come to life because our team are experts in bridging the gap between marketing and technology. This is why we are recognized as a specialized Adobe Global Alliance Solution Partner in 3 categories - Adobe Experience Manager, Adobe Analytics and Adobe Campaign. Adding to this achievement is the award received this year for Adobe Experience Cloud Partner of the Year 2018 EMEA as Netcentric continues to forge ahead to become a leading expert in Europe. Netcentric works towards creating value for our clients throughout the entire process chain, from consulting and development through to marketing operations. We combine best practices and agile methodologies ensuring foresight and efficient risk mitigation while retaining a high degree of agility, so that we can help our clients adapt to an ever-evolving landscape. 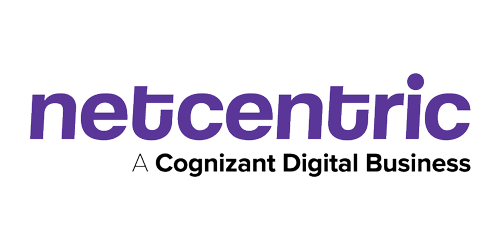 Netcentric, a Cognizant Digital Business offers our clients a comprehensive portfolio of business critical digital experience solutions, enabling the world’s greatest brands to drive their customer experiences in the new digital economy. Merkle is a leading data-driven, technology-enabled, global performance marketing agency that specialises in the delivery of unique, personalised customer experiences across platforms and devices. For more than 30 years, world-class companies and leading nonprofit organisations have partnered with Merkle to maximize the value of their customer portfolios. The agency’s heritage in data, technology, and analytics forms the foundation for its unmatched skills in understanding consumer insights that drive people-based marketing strategies. Its combined strengths in performance media, customer experience, customer relationship management, loyalty, and enterprise marketing technology drive improved marketing results and competitive advantage. 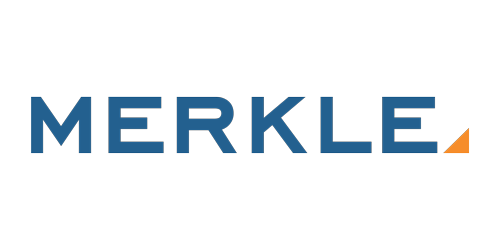 With 5,200 employees, Merkle is headquartered in Columbia, Maryland, with 24 additional offices in the US and 25 offices in Europe and APAC. In 2016, the agency joined the Dentsu Aegis Network. Oxyma joined Merkle in December 2017. Based in Rotterdam, its 250 committed marketers, data scientists, creatives and marketing technology professionals have grown Merkle's EMEA presence to 1,500 people-based marketing specialists. As a proud Adobe partner since 2014, Oxyma became the first agency in the Netherlands to be certified as an Adobe Campaign Specialized Partner in 2016. 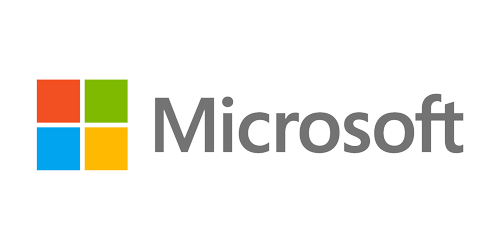 Together with Merkle, they provide unified delivery of best-in-class services worldwide. For more information, contact Merkle at +31 (0) 10-2710200 or visit https://www.merkleinc.com/emea/. Technology is changing how people interact. How products and services are imagined, created and delivered. It is transforming and reshaping businesses, economies and life itself. Allowing us to connect people and businesses in innovative and groundbreaking ways. And technology moves fast. Luckily so do we. Because technology is what we do. And we’re here to help. Help to reinvent and accelerate your business in the new digital reality. Help to create experiences that people want and your business needs. We are Dept. We are a digital agency of over 1000 experienced thinkers and makers. We’ve been at the forefront of digital for decades. Our agency merges creativity, technology, and data. Our teams comprise of experts in creative, digital, marketing and commerce. iDA Mediafoundry designs and develops powerful web applications. We focus on an optimal user experience, improve efficiency through data analysis and business process automation, exceed expectations of website visitors through personalised communication. Our knowledge investment in the Adobe Experience Cloud platform is strategic. Our mission is to support customers in the long term. With our motivated and highly skilled team counting more than 40 consultants, we can advise and support our customers in implementing online platforms. From ideation to design and implementation we take care of building reliable, integrated and high performing experience solutions. We are part of Xplore Group, one of the largest e-commerce solution providers in the Benelux. Our joint offering combines the expert knowledge of over 600 employees resulting in an annual turnover of more than 50 Million EUR. iDA Mediafoundry is honoured to be elected as Adobe Experience Cloud Benelux Solution Partner of the year 2018. Vaimo helps brand, merchants and manufacturers all over the world increase and develop sales with the help of strategy, design and technology. Our team has broad international experience with producing B2B and B2C commerce, order and product information management, omnichannel and mobile commerce solutions for companies around the world. Our internal team consists of over 400 specialists in offices across 12 countries. We work in all areas that directly and indirectly drive sales. The core of our offer is our Magento commerce platform, which operates as a motor for all digital touchpoints that culminate in omnichannel – a seamless shopping experience anytime, anywhere and any place. AMPLEXOR is a leading partner for digital experience, collaboration and content management. For more than 30 years AMPLEXOR has been helping renowned organizations grow their brands internationally. AMPLEXOR designs, implements and runs all-in-one digital ecosystems - from websites and intranets to marketing platforms and AR apps. As Adobe Experience Manager Specialized Partner in EMEA AMPLEXOR has a solid track record of successful Digital Experience programs across geographies. Established in 22 countries, more than 1,850 employees work daily with clients spanning industries such as manufacturing, public sector, life sciences, finance, retail, energy and aerospace. 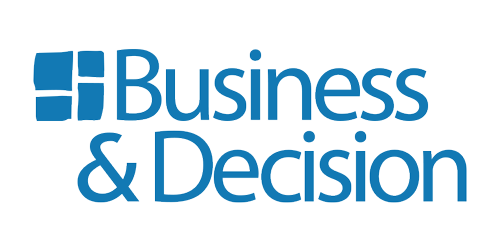 Business & Decision is a global management, strategy consulting and systems integration group, solving business problems through Digital Transformation serving both Public & Private sector clients. As a leader in Digital Customer Experience and Data & Analytics, we leverage a unique combination of technical, functional and industry specialization, as well as partnerships with key software vendors, to deliver maximum-value projects and help out clients break through barriers to innovation and business transformation. Crossphase offers content management services focused on Fortune 500 companies and other large multinationals. These services are delivered by content specialists that know their stuff and deliver quality results with short lead times: specialists such as Content Managers and Editors, Content Coordinators and Project Managers. These specialists help you get the results you want, whether it concerns launching new sites, updating existing ones, performing large migrations or just the daily tasks and activities such as publishing press releases, preparing newsletters and making other small changes. Valtech is a global digital agency. We are revolutionizing how our clients connect with their consumers, closing the experience gap and orchestrating omni-channel customer journeys. We are innovators, design thinkers, marketers, creatives and developers spanning 5 continents with offices in 14 countries and over 2.000 employees. With a renowned commitment to innovation and agility, Valtech creates unprecedented success for our global 500 clients while optimizing time-to-market and return on investment. Valtech. Where Experiences are Engineered.